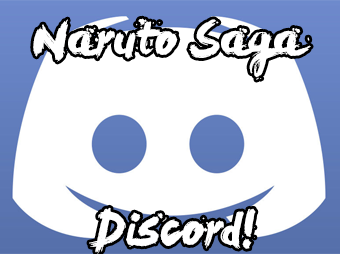 Naruto RP Saga » Hi no Kuni » Konohagakure » Royalty of the Sky. Cool air swept the Fire Country with gentle, broad strokes, painting a pleasant mid-autumn breeze across the bustling Hidden Leaf Village. Konoha was alive with activity, between the exams and the festivities that surrounded the occasion, there was seldom a dull or quiet moment on the streets. Many of the villagers, shinobi included, were enjoying every moment of the jubilation, engaging in the various games, indulging in the unique, festival-specific cuisine, and enjoying the bouts where shinobi of all make, model, age, and rank battled each other in 'for fun' matches. As his dull, coal-eyed gaze settled upon the arena floor, a faint and lopsided smile grew on his face. From the restricted viewing platform, available to Tokujō and above to observe the fights, he was given a distant but acceptable view of the battles that had overtaken the weekend. It had been genin all day thus far, boasting allegiances to villages big and small, as well as up and coming minor nations such as the Hidden Grass, which had previously met its destruction when Hao's flames washed it away. It was these fights that he found the most interesting, and the most informative. To learn how other villages taught their shinobi how to fight was a great advantage, not only to learn how to fight them should he ever come to blows with such tactics, but to learn from them as well. Takao observed the latest fight come to a close and the announcer give the match to the Hidden Stone shinobi, after a clean knockout against his Hidden Mist opponent. They had utilized simple enough tactics on both sides, shooting off techniques until their chakra had run out and the battle transitioned into what was typical for a shinobi fight-- a dirty, brutal brawl. Within moments, shinobi had retrieved the combatants, cleaned the arena with Earth Release, and the next two fighters were thrown into the not-so-proverbial pit to duke it out for the enjoyment of their audience. Barbaric, in a sense, but a time honoured shinobi tradition regardless, and one that Takao thoroughly enjoyed. "Ah," He sighed, falling back into the seat behind the railing as the next round began. "Seeing all this fighting gets me fired up. Now I wanna get involved too." He said, largely to himself aloud, as his eyes rested upon the spectacle once more. Many fights had come and gone in the time Nova had spent in the walls of Konoha, though at first the participants in the exams themselves were plentiful but now the final battles were drawing close. To fill the time and keep the excitement going without just members participating in exams, all shinobi were welcome and encouraged to battle for both the sake of practice and the goal of personal glory. With the sound of excited fan's cheers in her ears and the tightly packed arena, it reminded her of so many years ago when it was she who was the fresh faced genin participating in battles herself. So much had she grown and how far she had traveled in the time since then. It were disappointing that during her exams she could not rightfully represent Suna, and again in this exams there were only one participant who declared themselves as such a competitor though even that right were a battle in itself to achieve. Nova had been closely following the battles of the man who represented Suna, a shinobi by the name of Rhys that she had worked with back before the ruin of their village. His battle for the day had already come to a close, the ferocity of it igniting a fighting spirit in her chest. It had occurred to her many times that she could challenge a shinobi from any one of these villages to a spar, to put on a show like so many others were, but the thought of bringing more attention to herself than necessary was one that made her uneasy. Though it were likely obvious her dedication had been to Suna from the start, she was still formally considered a deserter and likely a traitor by the village hidden in the mist. To sate that desire for combat, she would find herself moving through the crowded village roads in the direction one of the more popular sparring arenas. Only the rarest of moments would find this battleground empty, and it would not disappoint this time. The battle was soon to start, signaled by a booming voice over crackling loudspeakers. From one of the many booths vending their street food and snack related wares Nova would purchase a beautifully frosted doughnut. Sweet and warm, the fried dough dessert was hard to resist and she would take a large bite as she worked her way through the crowd to an upper platform. Up the slowly ascending stairway with her pronounced limp, Nova would find herself entering a far less crowded area with quite the spectacular view down onto the battlefield. Clusters of Shinobi were leaning over the edge, chatting amongst eachother while waiting for the fight. From the Hitai-ate she could see, the number of Kumo and Kiri symbols suggested that the spar were between shinobi of those two allegiances. The battle was a classic one, between closely matched skills and a trade of jutsu after jutsu it would come to nothing more than a fistfight. Only minutes after the battle had begun, it would end and the stage would clear and be prepared for the next battle. Taking another large bite of her pastry, Nova would step back from the railing and settle into one of the seats placed conveniently around the platform. It was a relief they would provide seating, resting places sought after often due to the burden of her handicap. Letting her wooden appendage rest on the metal bars before her, she would lean back and stretch and let out a sigh born of restlessness. Leaning back over her seat she would run her fingers through the rolling waves of lavender hair that hung far down her back and try to relax and dampen the desire for that rush of adrenaline that came with a fight. Around her were a number of empty seats, but from a dark haired man several seats over she would hear a sigh reminiscent of her own followed by a thought that mirrored hers,"Seeing all this fighting gets me fired up. Now I wanna get involved too." The deeply seeded and unavoidable anxiety plaguing Takao's consciousness left his eyes wandering as the excitement of the battle came to a close, and no longer could his attention be held by the explosive theatrics of combat. Instead, his gaze washed over the ground, examining those who sat at his flank with subtlety, and then those in the booth itself. Mostly Jōnin occupied the particular swathe of seating that Takao had chosen to observe the rest of the day's bouts in. Within moments, another fight would begin, as more time passed by cleaning the damage from the last fight than the matches themselves, which lasted only a few moments at their longest. In most cases, it was merely a battle of who could land the single, decisive blow than it was a culmination of damage over time, which made it much more exciting, at least in his cold eyes. New hopefuls took the stage and began their paroxysm when the proctor’s arm dropped, filling the arena with the cheers of the audience above and the explosive sounds of battle from below. Although he couldn’t see into the arena, he had deduced that the participants of the new fight were of Kumogakure and Kirigakure allegiances, as shinobi of both nations gripped the railing tight and yelled words of encouragement for their allies and the opposite for their opponent. His attention, however, was not grabbed by the fight. Instead, it followed the sound of a voice that captured his attention, seemingly in response to his idle boredom-inspired commentary. Her voice was more familiar than her face, although that wasn’t exactly uncommon for Takao, whose memory recalled sounds much easier than countenances. With a slight tilt of his head, his ability to recall her identity was not ascertained until his gaze came to rest upon her faux leg. Curious at first, the realization finally dawned upon him, and while the intricacies of their interactions were a faded memory, he did remember who she was and where they met. His scrupulous gaze rose to her face, mouth pulled into his cheek as a lopsided smile built upon is features. “I remember you.” He said, standing from his seat and moving to one of the empty seats beside her. “Nova, right? I’m Takao,” His hand was offered to her for a cordial shake as he reintroduced himself in the event that his name had escaped her. “We met in the Hidden Mist, we were assigned to a mission together to clear out these, uh… fish… creatures.” Faded as his memory was, he recalled the odd aquatic chimeras that they battled quite well, although they were so alien to him that he didn’t understand well what they were. He reciprocated her profession of having been without a good match in quite some time, and empathized with her interest in resolving that issue sooner than later. The last decent fight he’d had that didn’t involve him holding back considerably had still ended quickly and without much trouble from his end. Nova, on the other hand, had survived a point-blank shot of his strongest stuff at the time, which certainly piqued his interest when considering who might be a challenge. "No trouble at all," Takao responded, mouth curled upward in a lopsided smile. The scars that marred his body were numerous, and although the one he'd been given on that mission was perhaps the largest that decorated his body, it was merely another stroke of the brush across the war-zone of a canvas that was his body. "It was raw for a day or two after, but not too bad. Better than I could have done myself, and I've got plenty others, so it fits right in." A light chuckle rumbled in his chest, his light-hearted words laced with honesty. His dull eyes brightened just a glint when she voiced her approval of the proposal for them to fight, and the fires of competitive spirit were lit ablaze in his gut. Seldom did he find such a spark; he could count the sources that filled him with such ebullience on near half of a single hand. But more than just fighting, he had the unique opportunity of fighting somebody that would give him a challenge. That fact alone was cause for excitement. When she spoke, he was already analyzing her words. She wanted a lot of space, that much is to be expected from a user of puppets. They required distance to safely marionette their puppets from, keeping themselves out of harms way, which was a tricky spot for Takao who thrived in close quarters. It would be a game of enduring her puppets and striking the source, he had decided, and was working through methods to achieve such whilst Nova uttered her response. Finally, arriving at the conclusion that they would require an arena with more space, a lopsided smile crept onto his features. "I've got just the thing," He said, standing, and offering his hand to help her to her feet. "Come. I think this arena will suit us a tad better." Leading Nova through the stands, he would arrive at a registration desk a floor below inside the arena building. There, he spoke to the receptionist as the desk, and spoke of their interest in a battle. He selected an arena at the receptionist's recommendation, just the one he had in mind from minutes earlier, and after a short period of waiting, it was their turn to fight. Shinobi set to the task of preparing the arenas worked quickly between matches. In some cases, they merely repaired the damage done utilizing a broad range of skill sets, effectively terraforming in mere minutes. However, in other cases, the entirety of the arena was changed, and such was the case for Nova and Takao's match. They would enter from opposite ends, Takao had chosen the northern entrance, leaving Nova with the opposite. Before them laid a massive, open expanse of a circular arena, bordered on all sides by tall walls that they would likely never touch, and atop those walls were the viewing stands, which had grown more packed than before. Rolling hills of vibrant green grass, decorated sparsely with flowers, small outcroppings of rock, and the occasional bush set the scene for their battle. Takao took a moment to absorb the surroundings, for he knew within seconds of the battle's start, it would be reduced to ash and dirt. 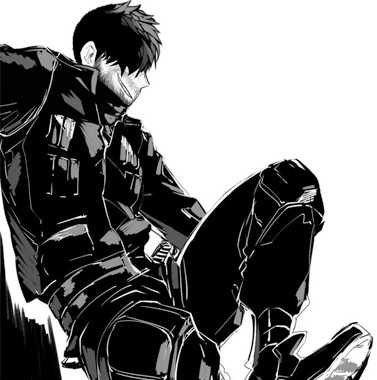 Tugging fitted gloves over his scarred hands, Takao rolled his neck and shoulders, adjusting the way his vest sat on his torso. His legs tensed and his body followed suit. In his head, a chorus erupted, urging him on, all chanting in unison their thoughts that blended with his own. He set his gaze forward, and an uncharacteristically wide smile built across his cheeks, pulling his lips into a thin, toothy line. Erupting into a massive leaping bound from his starting point, the jets of flames from Takao's back carried him effortlessly through the air, minute calculations in thrust and direction making the slight gusts of wind that otherwise threatened to knock him off course were of little issue in reality. In what seemed like a mere instant for onlookers but was a minute fraction of a second in reality, Takao landed hard a full fifty-meters away from his starting position, bathed in the flames of Burning Ambition. His right hand, balled in a fist, slammed into the open palm of his left. "Let's go!" He roared, words escaping as deep, rumbling, guttural tones. Description: Fire Release: Burning Ambition is a fire release technique that heavily augments the user's mobility using high-speed ejection of high pressure fire akin to jet propulsion, allowing them to move at speeds up to an additional 120m/s of their maximum speed. These jets can manifest anywhere on the user, allowing them to quickly dodge attacks or rapidly maneuver themselves within a 3d space as opposed to 2d. When used to climb vertically, the user is only capable of reaching heights of 80 meters above the ground before the propulsion becomes unstable and too difficult to control. This is not sustained flight, however, as it only occurs in bursts. It can also be used to quickly increase the speed of a strike depending on where the jets are manifested. 6 Re: Royalty of the Sky.